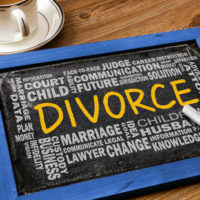 Outside of child custody, one of the most complicated and contentious issues spouses face in divorce is the division of marital assets and liabilities. Florida law requires both parties to submit financial affidavits with the court outlining all property, both separate and joint. Florida follows an equitable division of property rule, and each spouse receives a share of all shared assets and liabilities according to what is most fair under the circumstances. The presumption is in favor of an equal division, but a court will deviate from this standard if the facts of the marriage indicate another arrangement is more appropriate. In order for a division to be truly fair, a full and accurate account of both spouses’ assets and liabilities must be disclosed, and in divorces with complex property holdings, determining whether a spouse has included everything may be beyond the other party. Further, the stakes are typically higher in these marriages, giving the spouse with the most to lose extra incentive to hide assets. Bringing in an outside financial expert, such as a forensic accountant, to look for signs of fraud in the financial records provided by the other side is the most direct way to uncover if deception is an issue. A discussion of the need for asset valuations, and the role of a forensic accountant in high asset divorce cases, will follow below. Simply estimating the fair market value of significant assets may seem like a satisfactory method of determining how much all marital assets are worth. However, closely held assets, such as family businesses, and personal property that can greatly fluctuate in value, like art work, are hard to estimate and if undervalued, may leave one spouse with much less than anticipated. Further, the financial resources of each party are a pivotal factor in the award of alimony, and if assets are improperly valued, the spouse needing assistance may be assumed to have more resources than he/she actually possesses. Additionally, if the true value of marital assets are misrepresented, the party ordered to pay alimony may pay a much lower amount, leaving the recipient with less than he/she needs and deserves. Bringing in real and personal property appraisers can assist with calculating a fair value, and also settle disagreements about what a particular piece of property is worth. Depending upon how disputed property valuation is, spouses can mutually pay for the services of one appraiser, or each can retain their own. While agreeing on a fair value for significant assets has its own challenges, if there is suspicion a spouse may be hiding assets or concealing income, the need for an outside financial expert to uncover evidence of this behavior is imperative. Spouses who had little or no involvement in the marital finances are particularly susceptible to the concealment of assets, since they likely have only a vague idea about the types of property owned individually or collectively, nor an adequate understanding of where this property is located. A forensic accountant is trained to look over bank statements, tax returns, contracts and other financial records to identify inconsistencies, which could indicate fraudulent behavior is an issue. This is a labor-intensive process that requires gathering a large number of documents, so the possible need for this outside evaluation should be addressed as early as possible in the divorce case with an experienced attorney. While bringing in outside advisors will add time and expense to the case, using these experts can be the difference between getting a fair property settlement and only discovering years later how disadvantaged one party was from the start. Getting a fair property settlement is essential to both short- and long- term financial stability. Given this issue’s importance, an experienced divorce attorney should review any settlement offer so important rights are not lost. The attorneys at the Donna Hung Group in Orlando know what matters to get a fair settlement, and will work to ensure your interests are well represented. 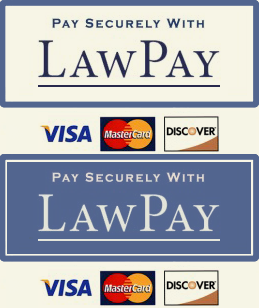 Contact us at (407) 999-0099 to speak with an attorney.